Do you get into April Fools? Work was sending around some emails about having the directors color coordinate as a joke for the CEO during a meeting tomorrow…we were also all going to report “risk” in our departments to really try to cause her blood pressure to rise. Evil coworkers. See, as someone who is far, far beyond gullible, this is just cruel. I’m quite the easy one to trick and doing so is just straight up MEAN. If you can say something with a straight face, I will believe whatever comes past your lips. This is one of the many reasons this Chicago born and bred lacks some “street smarts”. ‘Shame. I know this birthday isn’t as fun to celebrate as the time we all went to Vegas together, but you know, we should do that again soon. Birthday celebration or otherwise, a big family vacation is well over-due. Right? Right. Truth: for your birthdays this year, I brought you 60+ degree weather. Totally, how cool was that? So thoughtful of me. Too bad it was yesterday and not today, but hey, 60 degrees is 60 degrees and there’s nothing not to love about that. Today, it all seems like a bad joke, I know. I’m sorry. But, HAPPY BIRTHDAY! 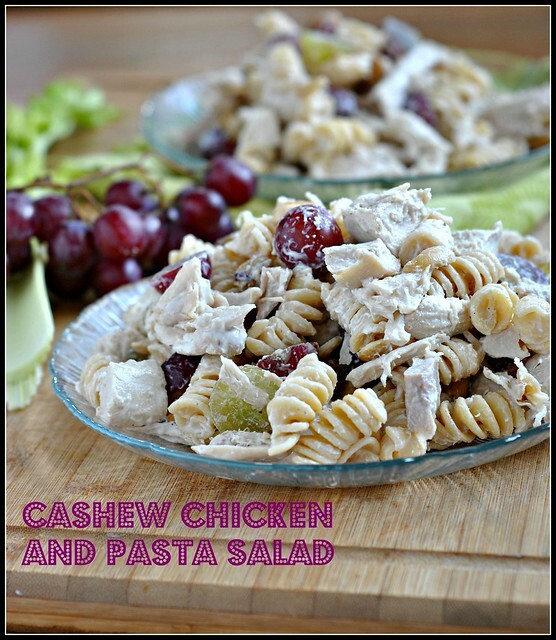 When the weather comes around again, have your eye on this Cashew Chicken and Pasta Salad. 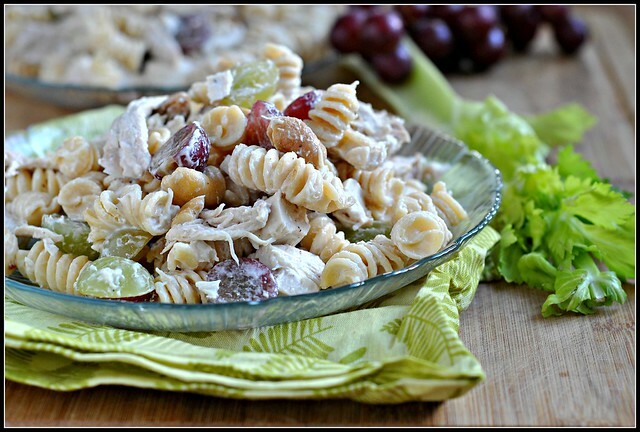 Why choose pasta salad OR chicken salad when you can combine both into this perfect spring-y/summer-y dish that’s perfect for a cookout or family get together? We need to do that soon, too. No foolin’ ya with that statement. Bring 2-3 quarts of water to a rolling boil; add pasta, stir, and cook 9-12 minutes or until al dente. Drain and rinse under cold running water until chilled; transfer pasta to a large bowl. 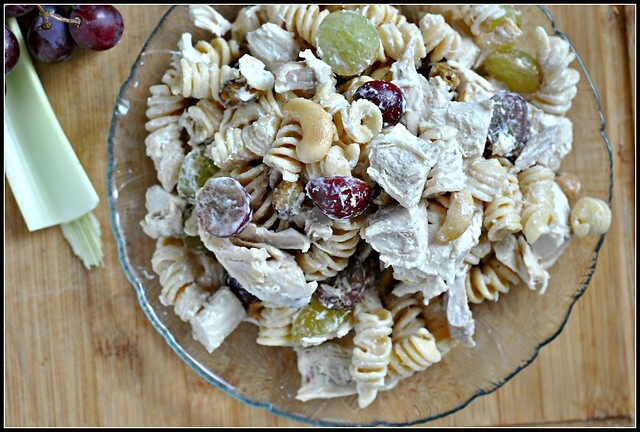 To the bowl, add the diced chicken and grapes; toss. 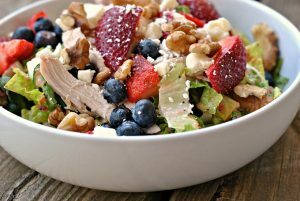 Add the yogurt, mayonnaise, and salt sprinkled over the top. 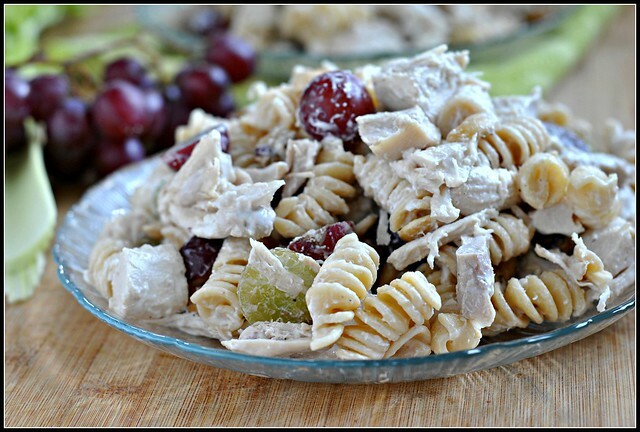 Mix the pasta well, incorporating the mayonnaise and yogurt well. Fold in the cashews. 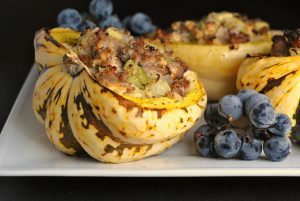 serve immediately, chilled, or refrigerate for up to 5 days. Happy Birthday again to you both 🙂 Love you!